Notice the Words of the Savior, Yahshua Messiah, for these Last Days or Last Generation. In verse 15, we see Life by Righteous-ness. Verse 16 says keep Yahweh’s Commandments. Yahshua Messiah said the same thing in Mattithyah 19:17…if you would enter into Life, keep the Commandments. I remind you again, Yahshua Messiah predicted all these things for this generation and they are here. This shows the Great Wisdom one can have. So, why does the majority of mankind still refuse to believe and follow Yahshua Messiah? Many? The many try to persuade the world into deception to keep them from following Yahweh’s Righteousness. But if you follow them instead of the Savior and Yahweh, the Creator, or the Words of Yahweh’s Prophets, you are promised the second death, from which there is no resurrection. You are warned over and over about the deceptions of the religions of the world. All of them practice breaking Yahweh’s Laws of Righteousness and say the Gods, Jesus and Christ, did it all for them. They say this even though they know that Yahshua is the correct Name of the Savior and that Jesus and Christ are the names of two Gods that the pope Constantine chose to replace Yahshua’s Name. The Pharisees, Sadducees, Essenes, and Herodians were never right with Yahweh. They had the Laws of Yahweh, the Laws of Righteousness delivered to them, but would not practice Righteousness. They made void the Laws of Yahweh by their traditions; heathen customs. The deception is the lie that sin is desirable and there are no consequences attached. Look at the following with the word desirable in mind and see how desirable sin really is. None of Yahshua’s Apostles taught that you can practice sin and escape death. The Inspired Scriptures, written in your bible by Yahweh’s Inspired Prophets and Yahshua’s Disciples, are the full authority for Salvation offered by Yahweh to mankind. There is no other! 110 million are those that are known. The reason deception is so strong, at this time, is because The Book of Yahweh was taken to Rome along with the artifacts of The House of Yahweh, called the temple, that was destroyed around 70 CE. This was due to the hatred for Yahweh, Yahshua, and The House of Yahweh, because the sins and iniquity of the religious leaders–the Pharisees, Sadducees, Essenes, and Herodians–were being exposed by Yahweh, Yahshua, and The House of Yahweh. The Laws of Yahweh were required, by Law, to be taught daily as long as The House of Yahweh stood, so the wicked tore it down. This took place around 70 CE, by the roman army, that stood on the part of the Pharisees, Sadducees, Essenes, and Herodians, who later changed their name to the Roman Catholic Church after destroying the temple and moving to Rome. Their means the fourth beast of Daniyl 7 that made war against the Saints of Yahweh, blasphemed the Name of Yahweh, took over all services of The House of Yahweh by violence, and murdered thousands upon thousands of people who taught and practiced Yahweh’s Laws. Around 70 CE, The House of Yahweh was completely destroyed, and The Book of Yahweh as well as all the wealth and artifacts of The House of Yahweh were moved to Rome. Henceforth, they would be known as the ‘holy’ roman empire. On the seven hills of Rome is where The Book of Yahweh was taken and locked up for over 1,500 years before the Prophecy was fulfilled to bring it back to the people under the name ‘bible’, but it didn’t have the original Name of the Heavenly Father, Yahweh, or the True Name of the Savior, Yahshua in it. Before the altered, reprinted versions of the Holy Scriptures, such as the King James Version, were printed, the Inspired Writings of the Prophets and Apostles were known exclusively as The Book of Yahweh. From Abel, Noah was taught Yahweh’s Perfect Laws and it was Noah who preserved the teachings of Abel in the Ark, which he was instructed to build because of the fast growth of wickedness in the first 1500 years of man’s existence on earth. After the Flood, the Work of Yahweh continued at Abelin, and from there Righteousness was taught to mankind. Many Priests were trained there, including Abraham, whom Yahweh chose for the bloodline of His Plan; the Plan to build a Kingdom of people who will rule by Yahweh’s Laws, which is what the word Yisrayl means. The name Yisrayl was given to the Patriarch Yaaqob, who was of Abraham’s seed. Abraham was trained in Righteousness at Abelin and chosen by Yahweh. Notice why. From the Work done in Abelin, Israyl, came forth the Prophets and Teachers and with and through them the many books of The Book of Yahweh, now called The Holy Bible by the religious world. The word bible, from a Greek origin, means books. From Abelin, these Holy Writings of the Prophets came forth to each generation giving them an opportunity to have a part in the promised Kingdom of Yahweh. Before Abel was killed, he established The House of Yahweh in a city, in Israyl, named after him—the city of Abilene. This is the same Abilene: where Yahchanan the Immerser began preachingYahweh’s Message of Salvation. But if I am delayed, I write so that you may know the right and proper way to conduct yourself in The House of Yahweh at Abel who are the Called Out Ones of the Living Father, the Pillar and Ground of the Truth. Solomon clearly stated a Prophetic Rule: that which was will be again. We have seen that the first House of Yahweh was established and stood on a site named after Abel. Therefore, as Solomon’s Prophetic Rule shows, The House of Yahweh will again stand on a site named after Abel. 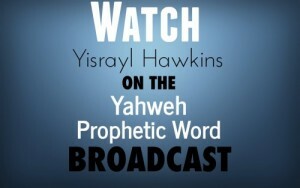 This has come to pass as the Prophets Isayah and Micahyah stated. Study to show yourself approved to Yahweh: a workman who does not need to be ashamed, rightly dividing the Word of Truth. Burning of the earth would not have been possible in the days of Isayah, Daniyl, or any of the other Prophets of Yahweh that brought these warnings. The things they warned mankind of, we see in abundance in this generation. “’God is great,’” the Taliban militants shouted as they roared through the hallways of a school in Peshawar, Pakistan. • Nuclear power is particularly suitable for vessels which need to be at sea for long periods without refuelling, or for powerful submarine propulsion. • Over 140 ships are powered by more than 180 small nuclear reactors and more than 12,000 reactor years of marine operation has been accumulated. • Most are submarines, but they range from icebreakers to aircraft carriers. • In future, constraints on fossil fuel use in transport may bring marine nuclear propulsion into more widespread use. So far, exaggerated fears about safety have caused political restriction on port access. Isn’t it strange that this religious system hated Yahweh, Yahshua, the Prophets, and the Apostles for warning them of their iniquities and sins, and what they would lead to. Now, in this generation, sin and iniquity have reached their peak. Hatred is at its boiling point. Nuclear bombs, that can darken the sun, are at their fingertips. Mankind was forewarned of all of these things; yet, the religions–the evil God trees (Mattithyah 7:13-23) will not repent (Revelation 9:20-21). The Savior, Yahshua Messiah, said it and it’s written in your bible, iniquity will increase in this generation and you will see the worst hatred ever in man’s history. As it was with Cain, so in this generation, but much worse. Did you notice in Mattithyah 24:12, cold love, or no love, with the worst build-up of hatred ever in man’s history? Notice how explicit Yahshua is, on when this will take place. He is not guessing about the time period. He names several things He says we will be able to see in this generation. We certainly see the deception we are warned of in the last part of Mattithyah 24:4. We see the extreme hatred among the nations (Mattithyah 24:7). We see the spread of incurable diseases. In Hebrews 10 we see a religion with Yahshua as the High Priest. What is this religion teaching, who has Yahweh placed over it as acting High Priest? 22 Let us draw near at Abel with a true heart in full assurance of the Faith, having our hearts and minds purified from evil, and our bodies cleansed by water with ashes of the red heifer.